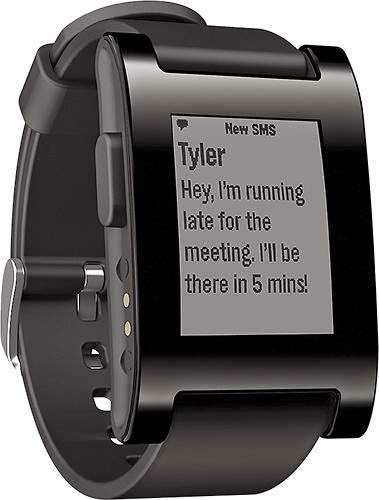 So if you're starting to get into the Smart-wear era but still can't quite stomach the upper prices of some of the newer models (for a list check out our database page for a run down of the models currently available in the Smartwatch database) Best Buy in the US has a deal on their Pebbles for 33% off. Now only $99. That's definitely in the 'eh, why not' range; but just means we have to find a way to get it for us Canucks (i.e. send a friend across the border) as it's not listed on our Canadian site.